How to make milk tea depends on whether you are prepared hot milk tea or iced milk tea. Hot milk tea is usually preferred if you are in a cold place or during cold seasons, while iced tea can come in handy when it is hot. Milk tea is prepared by adding milk to strong tea. However, there are many ways of preparing milk tea as there are variations and tastes. Some people prefer it with more flavors and therefore include additives. You can also prepare hot milk tea or iced milk tea depending on your preferences. Is Not Difficult At All! Hot milk tea is prepared using water, tea, milk, and sweeteners such as honey, and you will have honey milk tea or sugar. The first step in making the tea is to ensure you have all the ingredients. Boil the water in a kettle. You can use a stovetop kettle, electric kettle or you can even boil the water in a microwave. Place tea leaves in a teapot and then pour the hot boiled water inside it. You can use the tea leaves you prefer. It could be black tea, green tea or the more suitable oolong tea. Some people even go the extra length of using a blend of herbal tea. To make the tea stronger, you should add more tea leaves. Steep the tea. 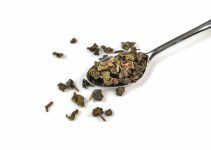 To get the flavor from the tea leaves, you should steep the tea between one to five minutes depending on the type of tea. You do this by covering the teapot for the required minutes. Black tea should be steeped for about two minutes while green tea should be steeped for one minute. Allowing them to steep longer may cause the tea to have a bitter taste. Oolong tea and herbal tea can be steeped for longer because they do not become bitter with over steeping. Add milk. There cannot be milk tea without the milk. You should add the milk gradually to the steeping tea as you stir after every addition. Adding the milk in one go can make the tea watery. Put the tea in the cup. Considering that you are using tea leaves, you should pour the tea in your cup through a strainer so that tea leaves do not get to the cup. Add sweetener. Add and stir sweetener to the tea. You could use honey or sugar and use the amount you prefer. Your hot milk tea is now ready and it is better taken when it is hot. Iced tea is prepared using ice, water, teabags and condensed milk. The best tea to prepare using this method is the black tea or oolong tea, provided it’s strong. Boil water in a kettle, whether stovetop or electric. You can also use the microwave to boil the water. Put teabags in a cup or mug and then pour the hot boiled water inside. Steep the tea. The tea should be left to steep for about two minutes. You do not need to cover the cup or mug as you steep to prevent heat loss because the tea is iced and is meant to be cold. Remove the tea bags, add condensed milk and stir. You should add milk depending on your preference. There is no need to add a sweetener because the milk is sweet. Put ice in a glass until it’s about half to two thirds full. You can put in crushed ice or ice cubes. This way the ice is not too little as to cause no effects; neither is it too much to dilute the tea. Pour the milk tea into the glass with ice. Now you have your iced milk tea ready. You should take it immediately when ‘ ice cold. Chinese milk tea – The tea is prepared by boiling it for about 30 minutes to give it a richer taste. It is then strained into a cup with cold condensed milk added. Bubble milk tea – The milk tea is mixed with boba or tapioca pearls that are chewy. A variation of bubble milk tea is the almond milk tea, which combines almond milk with the tapioca pearls. Masala chai – is spicy milk tea that is prepared using black tea, milk, cinnamon, cardamom, cloves, vanilla, and honey or sugar. If ginger is added, it becomes ginger tea. The tea has its origins in India and it has different variations. British milk tea –The tea is prepared by preparing the black tea using tea leaves and then adding milk to it. Most people take milk tea as a habit. However, the tea comes with benefits because it combines the benefits of tea with those of the milk. The tea brings the L-theanine and catechin antioxidants, it improves the immune system, reduces cell damage, controls blood sugar level and prevents heart diseases while the milk provides calcium. The addition of milk to the tea reduces the bitterness found in tea. This can be explained that the proteins in the milk bind to the catechins, reducing the bitterness. Some studies claim that adding milk to tea takes away some of the health benefits of tea, such as those related to the vascular system. 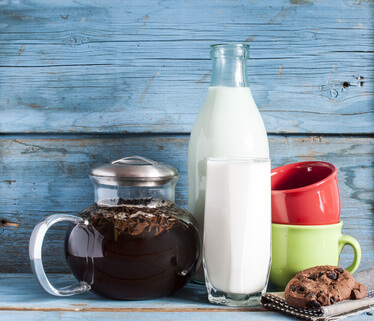 This is usually explained by suggesting that the caseins in milk combine with catechins found in tea to form complexes. This takes away the benefits of the tea catechins. Whether there are benefits or drawbacks, milk tea is widely accepted and most people take it for leisure because they find it soothing. The best thing is to take it in moderation just like anything else. Due to different tastes, there are also different ways of preparing milk tea, with some people liking it hot and others iced. 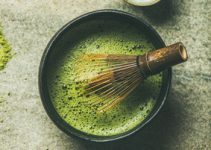 There are also different types of tea that can be used in making milk tea such as green tea, black tea, oolong and herbal tea. The secret is finding out what pleases you and learning how to make it. Have you ever try milk tea? How do you like it? What is your favorite type? Share your favorite milk tea recipe with us. Please like and share if you find this article helpful.